A 108-year-old Great Lakes steamboat may soon be headed for oblivion unless preservationists can make some headway in raising funds to save the ship as a maritime museum. 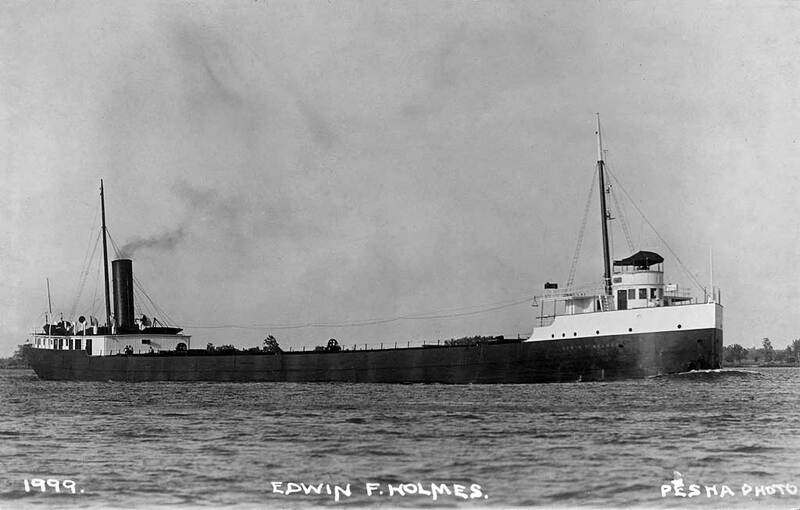 The J.B. Ford, a former ore freighter turned cement carrier, was launched at Lorain, Ohio, in 1903 – eight years before the RMS Titanic made her fateful maiden voyage – under the name Edwin F. Holmes. When built, she was typical of the freighters of her day, just 440 feet long, a utilitarian vessel in most aspects unremarkable, said Steve Haverty, a Minnesota-based historian who is part of a group trying to rescue the vessel. Haverty and others have formed The Great Lakes Steamship Society, a 501(c)(3) nonprofit organization dedicated to the preservation of the ship, which at present is tied to a dock in Superior, Wis. 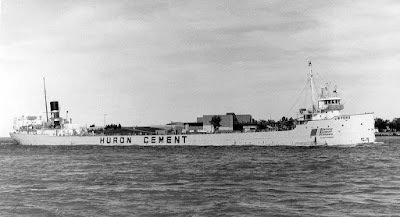 In a career that lasted over a century, this grand old lady of the lakes carried the goods that fed the industrial might of our nation, hauled the raw materials that helped to win two world wars, and survived some of the Great Lakes’ worst storms, including the infamous “White Hurricane” of 1913. Time, Haverty said, is not on their side. Although the group has been in contact with the vessel’s owner, Lafarge North America Inc., the ship’s future is far from secure. If The Great Lakes Steamship Society is successful in its efforts there are several possible outcomes, Jenkins added. Costs for stabilizing and restoring the ship could run as much as $1.5 million. “We estimate just to keep her temporarily where she is will cost approximately $25,000 per year between docking fees, power for lights, heat and insurance. Restoration and preparations to make her safe for visitors will likely cost between $1.2 to 1.5 million, including drydocking, towing, topside steel work, paint, cleanup, and accessibility considerations,” Jenkins estimated. Some of the costs could be taken care of through grants and other assistance programs, and some of the restoration work could be undertaken by volunteers. Inactive since 2008, the vessel was last drydocked in 2004 and her underwater openings sealed for her long-term use as a storage barge, so that potentially expensive work has already done, making drydocking less of an urgent priority than it might otherwise have been. If the preservation effort doesn’t pan out, donors will be able to get their money back or let the funds go toward supporting another project. “Each donor, at the beginning of their involvement, and at the end of the J.B. Ford effort will be given an option to get their money back or continue to support us in a new direction and a new target vessel,” said Haverty. 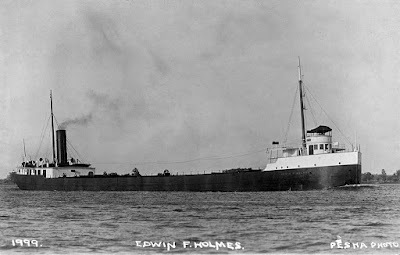 Built as a traditional iron ore carrier, the vessel – which in addition to the Edwin F. Holmes also served under the name E.C. 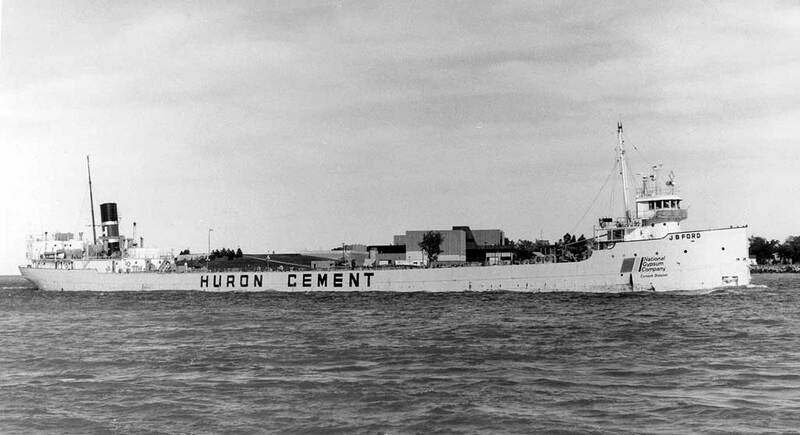 Collins – was modified to carry powdered cement in 1959 by the Huron Portland Cement Co. She last operated under her own power in 1985. More recently, she was used as a floating cement storage warehouse at South Chicago and at Superior, Wis.
Haverty and other members of the group have been hitting the bricks trying to get the word out about their efforts with speaking engagements around the lakes. They have gotten much-appreciated advice and information from other already established and successful non-profit and preservation groups.